The Great Taste Golden Fork for the best food or drink from the Midlands was presented to Macneil’s Smokehouse from Droitwich, Worcestershire for its Macneil’s Beech Wood Smoked Salmon. 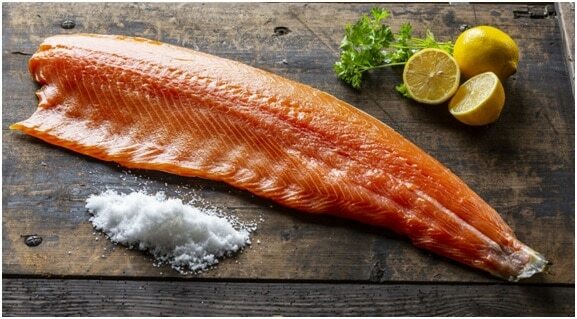 Macneil’s Smoked Salmon was awarded 3 stars when initially judged by over 500 of the most demanding palates, belonging to food critics, chefs, cooks, restaurateurs and producers. It then went on to be nominated, and then win the Golden Fork for the Midlands. Golden Fork Awards are given only to the top handful of products across the country each year selected from the 3* winners. Tony Macneil, Owner and Head Smoker, said: “As one of only 3 companies to achieve 3 stars this year in the Worcestershire area we couldn’t have been prouder of our stars when we found out, but to be then nominated for a Golden Fork was incredible and to win feels like such a huge achievement”. The awards were presented at an annual celebration dinner at London’s Park Lane Intercontinental Hotel.